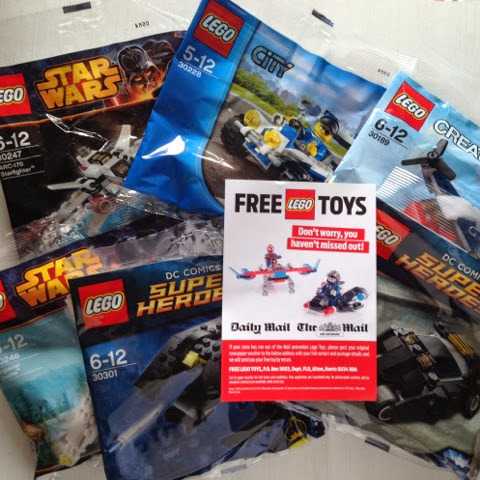 Last week the Mail newspaper were offering free lego toys. Each day a voucher was printed to be taken to Toys R Us or WHSmith to be exchanged for a lego toy, the voucher had to be presented the same day for this offer. This was the first time that I have actually stuck to one of these giveaways. We wouldn't normally buy the Mail (or any newspaper) so I did have the cost of buying those, £6.30 in total I've been looking at Toys R Us and the cheapest small lego set I can find is £2.99, therefore, to buy this little lot at that price would have cost me nearly £24.00. I'm really chuffed! There's one little problem with these sets - they are for ages 5 - 12!! Now I don't usually bother with recommended ages on toys but when it comes to lego, I know if I gave it to T half of it would be lost within hours so they need to be put away for a couple of years. Queue our reward box. On world book day earlier in the year I was lucky enough to get loads of free books from vouchers people didn't want at nursery. I'd put these books away as it's going to be a few a years before they'll be used, so now the lego is with them along with some small craft kits that I got on offer from Hobbycraft. 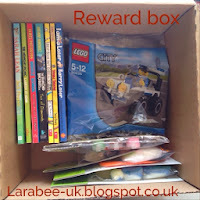 I envisage using this box for stocking fillers, rewards, prizes and treats when T gets older. 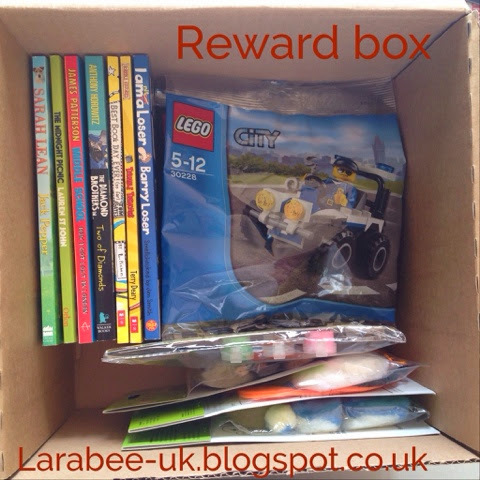 I'm now hunting the web for offers and freebies for that I can use for the next couple of years, I do have a few bargains I picked up just after christmas and am looking for other things to go on our current reward box!!! It's another lovely day out there, I hope you are enjoying the sunshine Lx.